“A number of members both on and off our committee have raised questions about the authorities of the legislative and executive branches with respect to war making, the use of nuclear weapons, and conducting foreign policy overall,” Corker said in a statement. 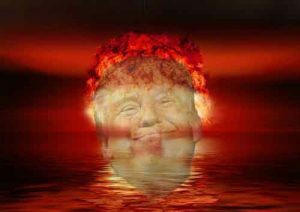 The debate over who should have the power to authorize the use of nuclear weapons has been reignited in Congress after President Donald Trump warned in August that North Korea could face “fire and fury like the world has never seen” if it continues to advance its nuclear program. Corker, who has announced he will not run for re-election in 2018, has publicly clashed with President Donald Trump several time over the last month.